The Northern Racing bred GENTILDONNA won the Group 1 Oka Sho (Japanese 1000 Guineas) at Hanshin racecourse on Sunday to become the second Japanese Classic winner in the last two years out of a mare bought at the Tattersalls December Mare Sale. GENTILDONNA, by the former Japanese Horse of the Year DEEP IMPACT, is out of the Group 1 Cheveley Park Stakes winning mare DONNA BLINI who was purchased by Katsumi Yoshida’s Northern Farm at the 2006 Tattersalls December Mare Sale for 500,000 guineas. GENTILDONNA is the second foal out of DONNA BLINI, the first being the Group 3 winner DONAU BLUE. The Classic win by GENTILDONNA follows the Group 1 Derby success in 2010 by EISHIN FLASH who is out of MOONLADY who was purchased for 300,000 guineas by Katsumi Yoshida’s brother Teruya’s Shadai Farm, at the same renewal of the Tattersalls December Sale. 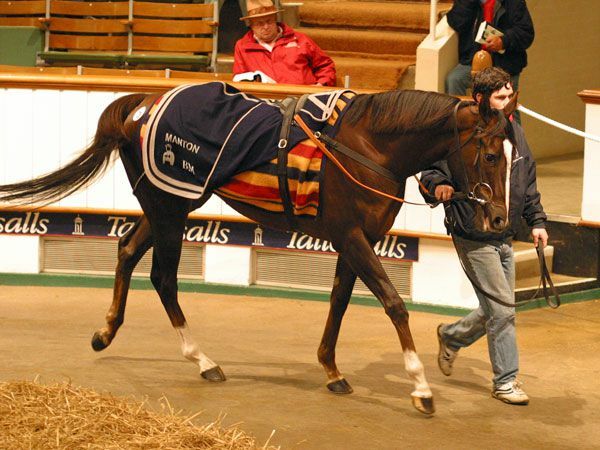 The success of GENTILDONNA further underlined the international appeal of Tattersalls, coming a week after KRYPTON FACTOR became the sixth Group 1 winning graduate in two years to come out of the Tattersalls Autumn Horses in Training Sale when winning the $2,000,000 Group 1 Golden Shaheen at Meydan. The son of KYLLACHY was purchased by Oliver St Lawrence on behalf of Fawzi Naas for 100,000 guineas at the 2010 renewal of the world’s largest horses in training sale.